Caregivers do their best to nourish, treat and sterilise our community cats even as intolerance and irresponsibility sometimes undermine their efforts. One common complaint in neighbourhoods is filthy feeding habits where remnants of food and containers are blamed on cats instead of on irresponsible feeders. Cats have no control over the feeding areas and it is up to caregivers to feed them responsibly. Inorder to support the needs of the community and the caregivers, there must be recognition that harmony can be attained. To promote this,the Stray Cat Sterilisation Programme (SCSP) has been piloted by the Cat Welfare Society with the support of the Agri-food & VeterinaryAuthority of Singapore and the National Environment Agency (NEA). The programme will see a registry of caregivers and cats being created for each of the four pilot areas. Educational posters will be put up and designated feeding stations will be indicated. The posters will inform residents on how to feed community cats responsibly. These measures are solutions proposed based on experience and on research on community cat management techniques and the public’s response tocommunity cats. Local studies suggest that when cats are fed at off-peak hours and away from foot traffic, complaints may be reduced. (Mei Ailian, National University of Singapore (NUS), “Peak activity and home range of community cats in a mature TNRM estate”) Another NUS study showed that feeding stations needed to be sufficiently spaced apart so that cats did not have to encroach on each other’s territories to eat, thus reducing their stress level. Researchers also found that availability of food correlated to how aggressive or social the cats were. The more food was available, the more social the cats were. Caregivers play a pivotal role by making sure that feeding stations are tidy and waste is not allowed to accumulate. When cats get used to a regular routine and feeding time, they will not approach other people seeking food, roam excessively to find food, or invade another feline’s territory to feed. As part of the SCSP, the NEA is allowing water bowls to be kept at designated feeding stations, provided the water is changed twice daily and not allowed to stagnate. The SCSP aims to take a more natural and holistic view of our neighbourhoods and by promoting responsible caregiving practices, we can be sure that our feline friends’ well-being is taken seriously. Nebisa Ali, Christina Ng, Siau Li Chao Michelle, and Clare Teo are just a few of the caregivers that have formed a tight-knit network in the West. Though they live in different areas—Choa Chu Kang, Bukit Panjang, and Bukit Batok, for example—and they met in different ways, they are united by their love for feline friends. “We got to know like-minded people who shared our passion for improving the welfare of community cats,” says Christina. The caregivers now share resources like carriers and cat traps, and knowledge, such as medical care and mediation tips. 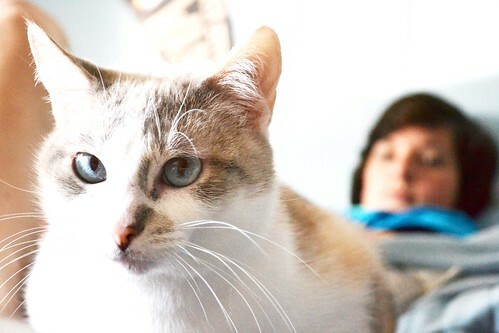 “Recently, there was a complaint about a cat hanging around,” Clare narrates. “The management simply chose the easiest way to solve the issue: loan a terrible cat trap from AVA. I was horrified to see the cat trap! I sought advice from Nebisa and Yoke Wah, who suggested I send out flyers to see if this cat belonged to anyone, and also speak to the management. It worked! The owner contacted me, we met up, and we worked out a way to prevent her cats from escaping. The management was also happy that someone stepped in to solve the issue”. Teamwork has certainly enabled the caregivers to resolve issues faster and more easily. “Hundreds of street cats have been sterilised and all complaint cases have been resolved,” says Michelle, when asked what she considered the best achievement of the West network. “A good relationship with MPs like Mr Cedric Foo has been forged”. “I still think it’s amazing how we all met and [how we] pull together to help each other as and when we could,” says Nebisa. In July, it was announced that the Agri-food & Veterinary Authority of Singapore (AVA), in collaboration with the Cat Welfare Society, is rolling out a Stray Cat Sterilisation Programme (SCSP) in parts of four constituencies (Chong Pang, Yio Chu Kang, Tampines North, and Macpherson). As part of the programme, AVA will provide 50% funding for the sterilisation of stray cats. This pilot stage of the programme is accompanied by a four-month review by a joint-agency task force led by the Ministry of National Development (MND) on pet ownership and stray management policies. CWS has presented our proposal on humane solutions to cat-related issues in our community to the task force, as well as engaged Town Councils of the four constituencies in improving the cooperation between officers and caregivers in resolving complaints. A summary of our proposal can be found on our website. You are encouraged to write in directly to MND’s online feedback portal to lend a voice to the cause. At this critical stage, Chong Pang residents’ feedback from our month-long door-to-door survey will play a big role in pushing for the comprehensive roll-out of the programme island-wide. The results have been encouraging so far. We have ONE MORE weekend left to complete this exercise and send our results to MND. There will be two more rounds of survey on Saturday & Sunday, 20 & 21 August, from 11 am to 7 pm. Please join us if you can. Please email Phyllis Tan your availability this weekend. The first training session for caregivers and volunteers in the Chong Pang Animal Welfare Programme was held on 9 July at the Chong Pang CC Auditorium. CWS Vice-President Veron Lau laid out the rubrics of the programme, explaining the importance of responsible feeding and the need for effective resolution of cat-related complaints to ensure a harmonious community. Presentation slides of the training and information about the Chong Pang Animal Welfare Programme can be found here. 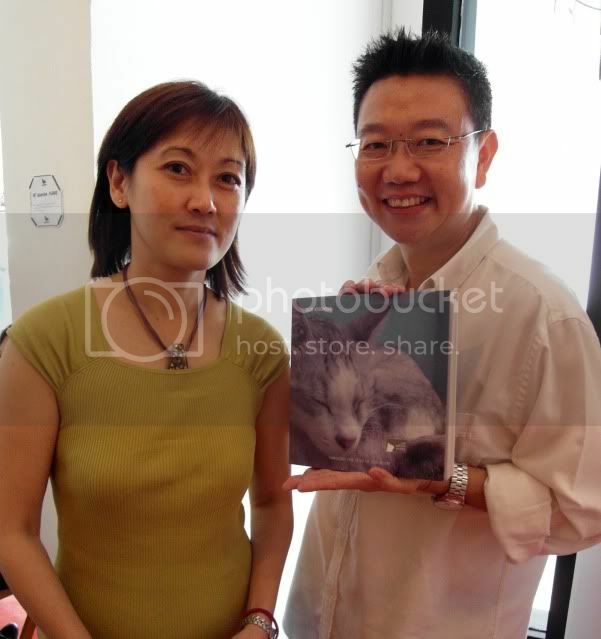 Our Kuching: The Vanishing Street Cats of Singapore may be ordered through the CWS online store at www.jipaban.com. For each sale, $10 goes directly to CWS efforts to sterilise community cats. Get your daily dose of the cutest kitten photos and the most touching rescue stories. Don’t miss the posts on fatherly felines and cat-dog friendships! Love Meow is also on Facebook and Twitter. LA-based Much Love Animal Rescue declared February 7 to 13 “Cat Guy Week”. Missed it? Catch up on the cool campaign videos featuring The Bartender, The Biker, The Boxer, and The Golfer.